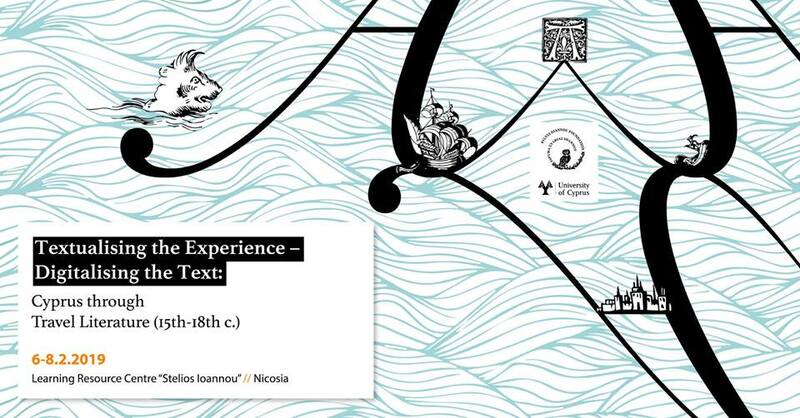 The 4th International Conference of the Sylvia Ioannou Foundation, entitled Textualising the Experience – Digitalising the Text: Cyprus through Travel Literature (15th-18th c.), will be held in collaboration with the University of Cyprus at the Stelios Ioannou Learning Resource Centre, the impressive new university library in Nicosia, on 6-8 February 2019. The aim of the Conference is to encourage the interdisciplinary study of travel literature on the Eastern Mediterranean, with an emphasis on Cyprus, and to promote the use of digital tools and resources in humanities research. Researchers and scholars from eight countries will approach travel writing as a genre, as evidence of perceptions of the Other, as a means of representing space, as a testimonial of cultural exchange and as a historical source. In terms of background research, the presentations will be based on the platform created for the research programme Zefyros, supervised by Professor Julia Chatzipanagioti-Sangmeister (University of Cyprus) and funded by the Sylvia Ioannou Foundation. The platform containing the results of the programme will be presented at the Conference and will constitute a central point of reference in a roundtable discussion. Zefyros is the first component of a broader web platform which in the future will host further databases of travel literature on the Eastern Mediterranean. We look forward to seeing you in the Conference and to a lively discussion during the Conference's sessions.